San Antonio, Texas (July 2, 2018) – A collaborative study between six of the National Primate Research Centers shows pregnancy loss due to Zika A infections that don't cause women any symptoms may be a common but unrecognized cause of miscarriages and stillbirths. "This is an important study where all of the primate centers collaborated to provide enough data and information to further our understanding of Zika's effect on pregnancy," said Scientist Jean Patterson, Ph.D., of Texas Biomedical Research Institute and the Southwest National Primate Research Center. Zika roared into world headlines in 2015 when a cluster of cases in Brazil produced a large spike in babies born with a devastating birth defect called microcephaly, a brain abnormality. Other adverse outcomes include sensory defects, like blindness and even pregnancy loss. 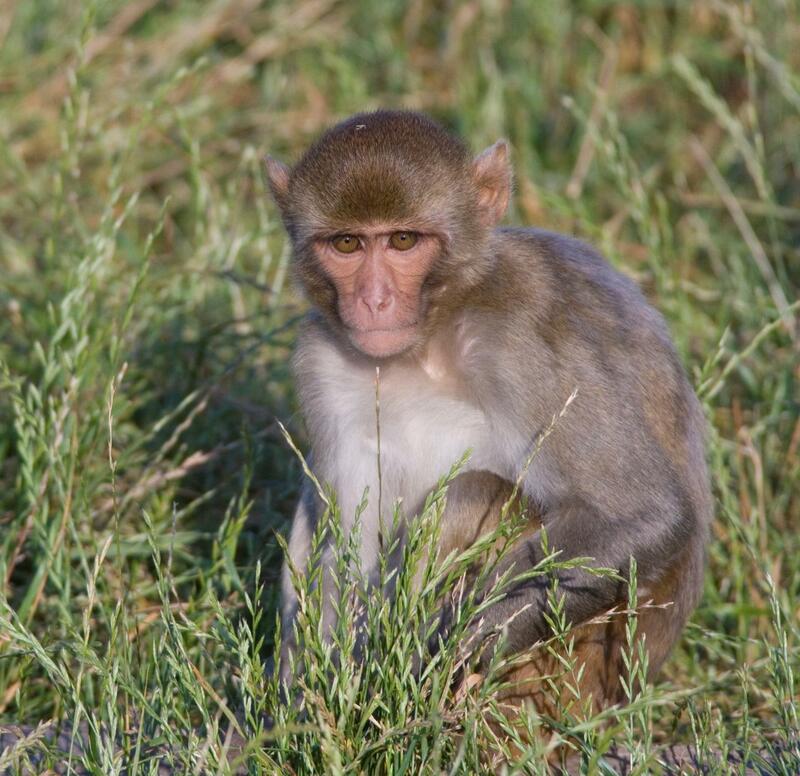 Collecting data from several species of nonhuman primates (rhesus macaques, pigtail macaques and marmosets), scientists found 26% of female nonhuman primates (NHP) innoculated with Asian/American ZIKV (Zika virus) in the early stages of pregnancy experienced miscarriage or stillbirth later, despite the fact that the animals showed few clinical signs of infection. During the pregnancies of the Zika-infected monkeys, scientists monitored their progress through ultrasounds (to detect the fetus' heart beat), amniocentesis (a test in which amniotic fluid is drawn) and blood draws. "The primary conclusion from this multi-center study with important implications for pregnant women infected with Zika virus is that stillbirth and miscarriage occur more frequently in infected nonhuman primates than animals not exposed to the virus," explained lead author Dawn Dudley, Ph.D., with the Wisconsin National Primate Research Center. "This conclusion would not have been possible without the concerted efforts among the investigators at each institution to share and combine our data to draw statistically significant conclusions while also conserving precious nonhuman primate resources." The study is published in the journal Nature Medicine. The authors conclude "the high rates of fetal loss among ZIKV infected NHP pregnancies raises concern that Zika-associated pregnancy loss in humans may be more frequent than currently thought." The results parallel human reports of more significant adverse outcomes in babies exposed to ZIKV during the first trimester. No treatments or vaccines for Zika exist, although scientists at Texas Biomed and elsewhere are experimenting to find ways to cope with this emerging mosquito-borne infectious disease. In the United States, Zika infections have been detected in Florida and Texas. In counties along the Texas border with Mexico, the Texas Department of State Health Services is asking OB/GYNs to test pregnant patients for Zika three times during their pregnancy. All pregnant women are cautioned to protect themselves against mosquito bites.